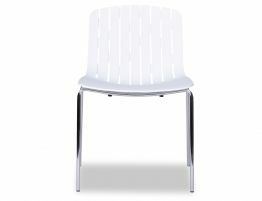 White Gotcha Chair by Enrique Marti Associates for OOLand brings the clean modern form into your dining area. 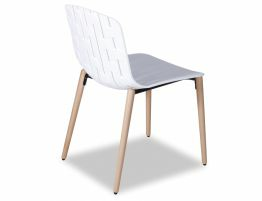 This white café chair balances comfort, lightness and beauty all in one white modern dining chair. 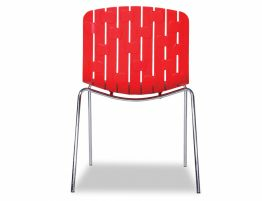 Suitable fit for your bustling family kitchens or restaurant dining room. Our mod white café chair features clean lines and a minimalist, modern form. 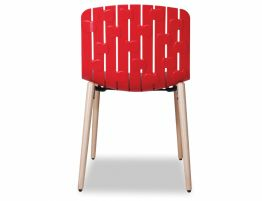 Gotcha white café chair pairs well with many colour palettes and is as suitable in your family kitchen as it is in your café or restaurant. 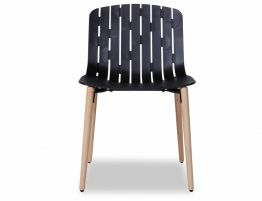 Modernize your commercial dining chairs or bring this mode white chair into your kitchen for an instant update.